It’s been puzzling how funders and others have become involved in publishing, from OA mandates to starting their own publications and publishing initiatives. However, there is a common thread here — the expansion of a patronage economy.
. . . the idea that a grant or journal article has to be peer-reviewed to be scientifically respectable arose as scientists grappled with the consequences of increased public funding for their work. There were a number of observers who wanted scientists to be more accountable to legislators and members of the public because they were receiving public money. Scientists, however, didn’t really want congressmen weighing in on which grant proposals they liked best. So scientists pushed the idea that peer review — evaluation by experts — was the only legitimate way to distinguish good science from bad science. Peer review for journals was established to some extent by this time, with systematic peer review systems stretching back to the 1930s and even earlier. However, for funders and granting bodies, independent peer review and the resultant unpredictability has proven frustrating — they pour money into a system knowing not how much yield they will get from this funding. Scientists and editors out of their control might call the science they funded “incremental” or “flawed” or “uninteresting” and shepherd the results into marginal journals or even the dustbin of history. So, when the opportunity to extend the patronage model to be inclusive of publishing presented itself, funders smarting from being constrained saw an opportunity — patronage end to end. Not only could they fund and control the research, they could fund and control publication events. Now, this hasn’t happened suddenly or explicitly — the culture of peer review is powerful and well-ingrained. 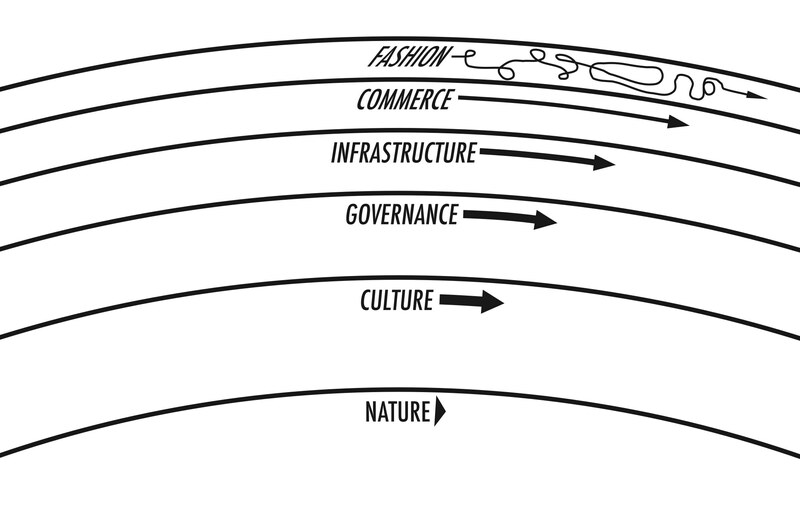 But the other layers prior to a culture change (using the Clock of the Long Now model) are being put in place — governance is being changed to allow funders to take key roles around publishing policy; the infrastructure is being modified to suit this end-game (e.g., changes at PMC and elsewhere); commerce (Gold OA and so forth) is being modified to facilitate end-to-end patronage; and the fashion of publication is being changed by initiatives like Plan S so that it will become unfashionable to publish in subscription journals, where funders can’t dictate terms. With this perspective, the reason for funders to enter the publication space with initiatives like those Wellcome and the Gates Foundations have established becomes clearer — ensuring yield of dollars spent through assured publication events. The cynical authors, of course, embrace this, while most authors and editors remain wary and suspicious of the consequences of a model where funders dictate terms. The same concerns that led to independent peer review in the first place — concerns about publication priorities not being scientific but being political or financial — are amplified in this setting. Proposed changes to publishing business models would drive a patronage economy, as I’ve noted elsewhere. The reason the patrons want this is clear, and they are working their way through the elements they need to change. Can they change the culture? That’s the last bulwark against end-to-end patronage, as far as I can tell.